McEnroe is wanted by police after breaking the conditions of his release from prison. A Northampton man is wanted by police so they can put him back in prison for breaching the conditions of his release. 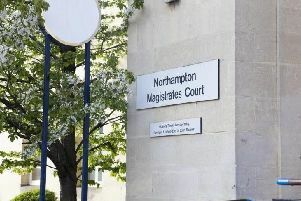 Ian Patrick McEnroe, 53, previously of Market Street, Northampton, was sent to prison in August 2015 after being convicted of numerous fraud offences committed in shops. He was released on licence in July 2016. But he has failed to stay at the address stipulated on his licence, a condition of his release. A result, he is wanted on recall to serve the remainder of his sentence. In the past, McEnroe is known to have travelled to other parts of the UK and police officers are appealing for the public’s help in tracing him. It is also believed that he may be in poor health, requiring medical treatment. Anyone who has any information about McEnroe’s whereabouts is asked to contact police on 101 or Crimestoppers anonymously on 0800 555 111.